Barnes & Noble has dropped the price of its backlit Nook e-reader just in time to catch up on some summer reading around the campfire. Available right now, you can pick up the Nook Simple Touch with GlowLight for $99, a $20 savings from its previous $119 price tag, and a full $400 less than its original debut price in early 2012. The last time Barnes & Noble cut the price of the GlowLight Nook was to meet the price of Amazon's Kindle Paperwhite, a similar e-reader that debuted for $119 last September. This time around, however, Barnes & Noble's move doesn't appear to be in direct response to a single competitor--though its new sub-$100 price makes the Nook Simple Touch with Glowlight the cheapest backlit e-reader around. The latest price cut could simply be the fact that 16 months after its first debut, the GlowLight Nook is now cheaper to make thanks to a tuned up supply chain. Summertime price cuts also aren't unusual for the bookseller. In June, Barnes & Noble announced it would extends its Father's Day price cuts indefinitely for the Nook HD and Nook HD+ tablets. Last August, it also cut the prices of its Nook tablets. But Barnes & Noble's GlowLight price cut also comes at a time when the e-reader market is hurting. Taiwan-based E Ink Holdings--the display supplier for major e-reader brands, including Amazon and Barnes & Noble--reported a 46 percent dip in revenue for its second financial quarter of 2013 compared to the year previous. Pouring on the bad news, E Ink expects global e-reader shipments to be flat compared to 2012, at around 10-15 million units, according to Taiwanese daily Taipei Times. In March, market research firm IDC said it expected e-reader shipments to grow modestly in 2013 and 2014 after peaking at 26.4 million shipments in 2011 ( IDC and TechHive are both owned by International Data Group). 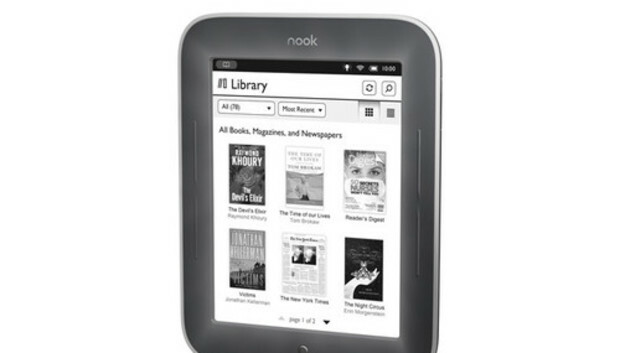 Barnes & Noble also reported bad news for the Nook during its financial 2013 year-end announcement. The bookseller announced a 34 percent dip in revenue year-over-year for its Nook division during the fourth quarter and reported a nearly 17 percent slide for the year. Barnes & Noble blamed the poor performance on declining Nook device sales. To help tighten things up for the Nook division, Barnes & Noble plans on farming out its tablet manufacturing to third parties, rather than creating Nook slates in-house. (E-readers will continue to be built by Barnes & Noble.) The company has yet to announce any tablet manufacturing partners. A Nook cutback has been long expected after rumors surfaced in February that Barnes & Noble might stop producing Nook devices altogether to focus on licensing its digital catalog. Despite the bad news, Barnes & Noble is still expanding the Nook's offerings as it tries to compete with the likes of Amazon, Apple, and a slew of e-reader manufacturers such as Sony. In addition to price cuts on devices, the company recently added the Google Play Store to its Android-based Nook color tablets. One bright spot in Barnes & Noble's Nook division was its digital content sales, which were up 16.2 percent for the year. But you don't have to buy your books from Barnes & Noble to load up your new e-reader. Instead, check out our new tutorial on how to find free e-books.